What Do I Do With All My Stuff After Decluttering? If you are trying to sell your home and your decluttering efforts are becoming a challenge, take a look at these helpful tips. From donating your items to charities, holding a garage sale, or storing your belongings in temporary storage before you move. 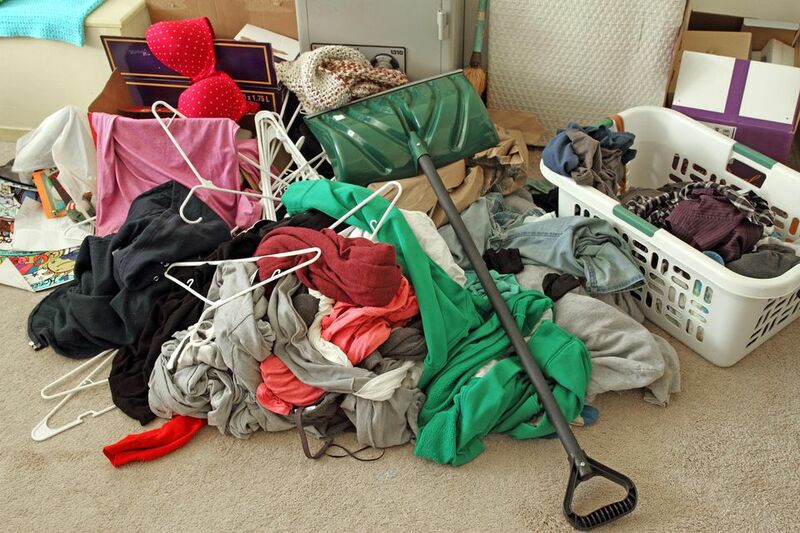 When decluttering, it's best to separate items into 3 categories: Keep, Throw Away, Sell/Donate. This is a great way to clean and organize your home, whether you are selling or not. What you do with your items when selling a home will be slightly different than what you do if you're just trying to get organized in your current home. For items you want to keep, separate those you use on a daily basis for those that get occasional use or are seasonal. Only put back essential items. Pack the rest. When staging you should remove 1/3 to 1/2 of the contents of closets and cabinets. For items that you need and use, but not on a regular basis, it makes sense to get a head start on packing. One example is seasonal clothing. Pack it up, label it, and put it in storage. Rent a Pod Unit: Pod drops the unit off. You fill it up and then call Pod to come and pick it up. They will store it until you need it dropped off at your new place. Rent a storage unit: Unlike a Pod, you have to bring the items to the storage unit. Ask family and friends if you can briefly store items there: They will often be willing to let you keep some boxes in their attics or basements. If none of these options work for you, the last solution is to store boxes in a pile in one corner of your basement, attic, or garage. The ideal solution is to get them out of the house and off the property. However, many people are hesitant to pay the money to store their items. Renting storage is a staging cost that is well worth the investment. For items that have seen better days, it's best to just get rid of them now. Do I want to pay to move this item to my new home? If the answer is no, you have a few options. Throw them out: Throw items out with your regular garbage. Rent a dumpster: If the items are large or you have quite a bit, consider renting a dumpster. Call your town or city: If the items are not suitable for disposal in your regular trash, or you don't want to rent a dumpster, check to see if your town has a garbage and recycling center. Some offer the service for free to town/city residents, while others may charge a small fee. Find disposal locations online: For items you aren't sure about, visit Earth 911. You can enter what you need to dispose of (such as an old computer), along with your zip code, and you will get a list of options for your specific area. If you're going to get rid of items, why not try to make a few bucks in the process? Just make sure the items are in fairly good condition. Consider using online classifieds for selling or list items in your local newspaper, or hold a garage sale. Donating is a great way to get your home ready for staging and help others in the process. Check with your local churches, shelters, fire departments, and the Salvation Army. Some might even have drop boxes located at various spots in your area. Check with local shelters. They are always looking for items. Often they will have a list of what they need on their website. Make sure that whatever you decide to do with the items that you get them out of the house right away. If you are going to get a dumpster or a storage unit, write a note to call the next day. If not, you'll just end up with an even bigger mess inside your home.